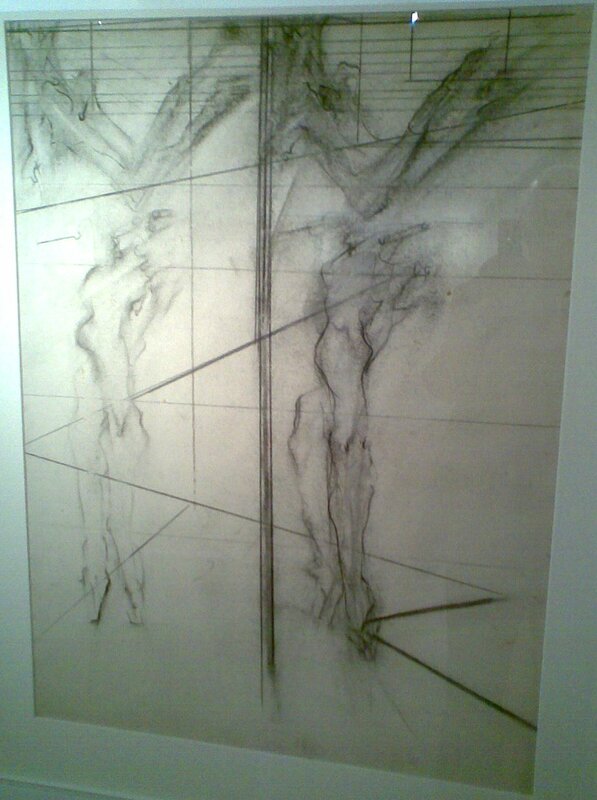 Talk of Francis Bacon (previous post) brings to mind an odd experience at the Tate Britain Bacon mega-show in 2009. One gets used to the way that staring at a Bacon starts to re-shape your reality; in particular, there are structural features of the Tate gents’ and basement café that, on an after-viewing visit, plunge you right back into Bacon-world. Well, they do me, anyway. 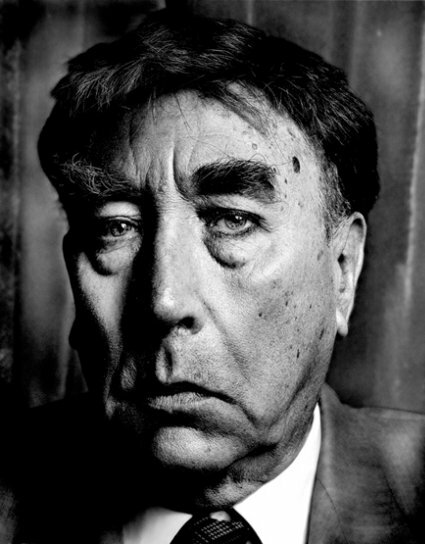 But on this occasion, after prolonged exposure to multiple images, I found myself subject to the strong, hallucinatory conviction that all these paintings had been done by Frankie Howerd. the curtain turns a streaky sort of black. gurning at a pope who’s gawping back. these conspire to recreate a Bacon. a similar iconic sad old sot. Missus, no! It’s Francis. Titter ye not! Titter ye not, indeed. Did John Deakin ever photograph Howerd? I think not, but he ought to have done. 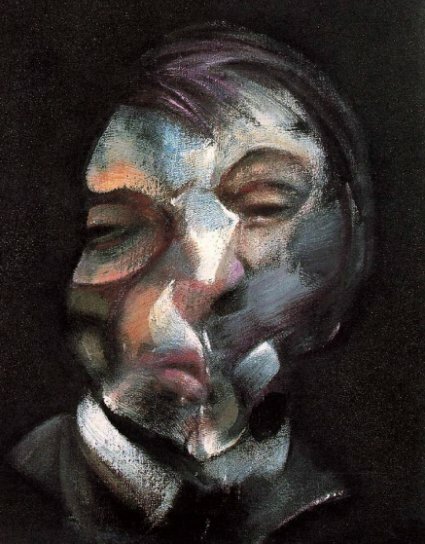 The closest I’ve found is a great photo by John Claridge, above, in which many of the tonal shapes within the facial landscape uncannily echo those in Bacon’s self portrait. More “confirmation bias”! So it’s interesting indeed to see what she actually painted. 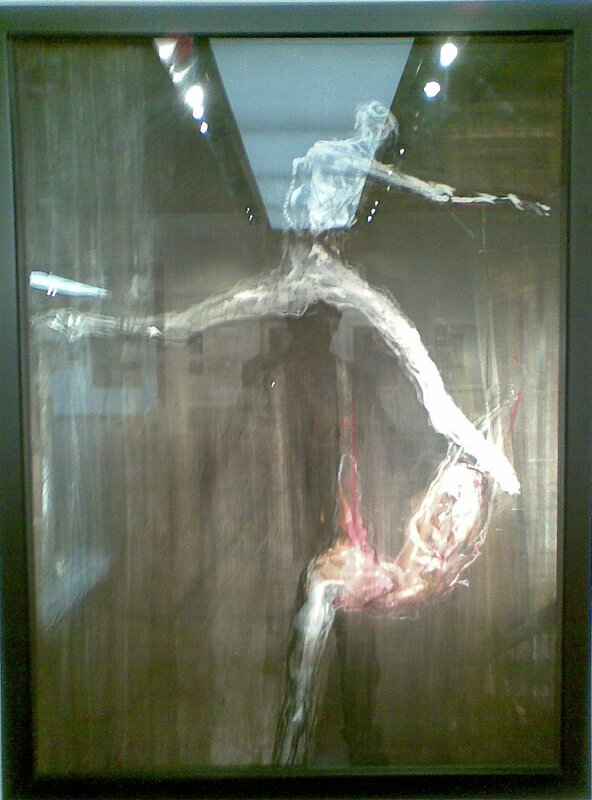 “Moving Bodies” is a couple of small roomsful of drawings and paintings of dancers. (Rawsthorne hung out with Fonteyn and Nureyev.) 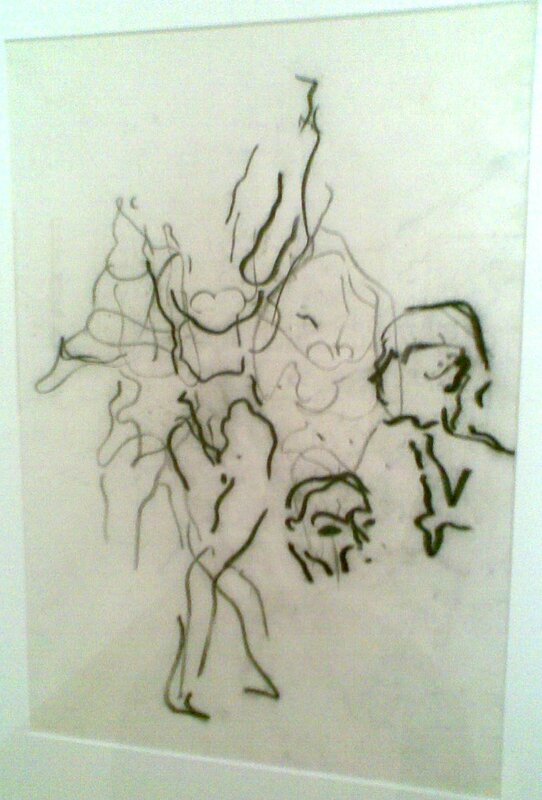 The drawings are nervy tracings of the twitching of her eye around the figures – mere biro spasms, some of them. But you can see what she learned from Giacometti. Bodies are built up from the inside out, assuming fluid, subtle, irregular surfaces. The paintings seem, on the whole, uncertain in comparison, some being really drawings that don’t quite know where else to go. 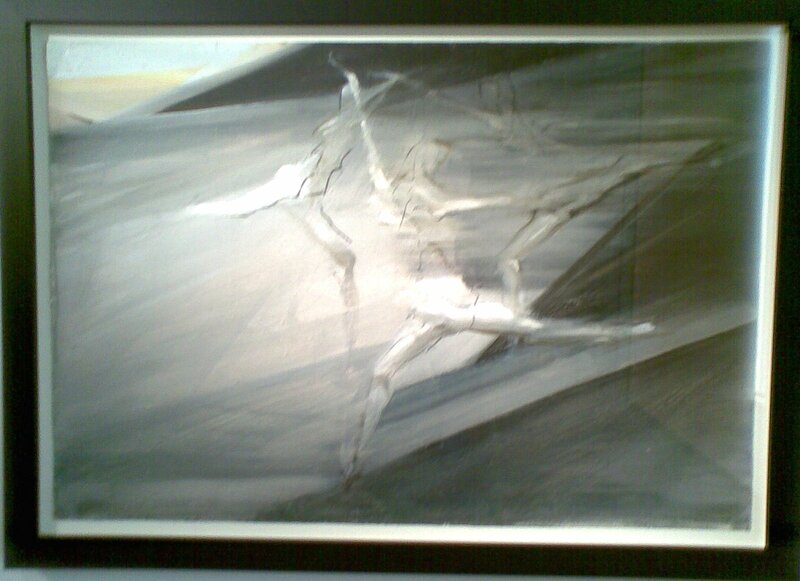 But a couple stand out as fully resolved: Movement from La Bayadère 2 (c1966) simply hums, quite luminously. I see that Bacon bought this one, and he knew a good thing when he saw one. 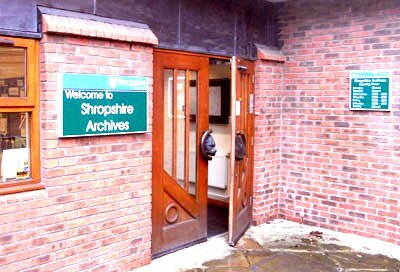 Even before the doors of the Archives are open, we’re all there, stood awkwardly outside with our mini-rucksacks and folders. Some of us appear critically infirm. One or two clearly wish to be considered by the world as characters, and have invested considerable effort in cultivating discreet but assertive eccentricities of dress or manner. Others, oblivious to anything outside the focus of their pet projects, betray in their behaviour that narrowed spatial awareness of the selfish elderly. Nearly all of us have white hair, or no hair at all. On my way to the secure door of the reading room, I peel off a number of my fellow researchers who, with practised urgency, hunch down busily over microfilm readers, winding on their chosen reels with clear desperation. They peer over their glasses at the screens, eyes narrowed and teeth bared in rictus sneers of concentration. Already, a couple of them have accosted the archivist, whom they attempt to involve in the dead ends of their researches into the dead, concerning which they provide unnecessarily lengthy detail. 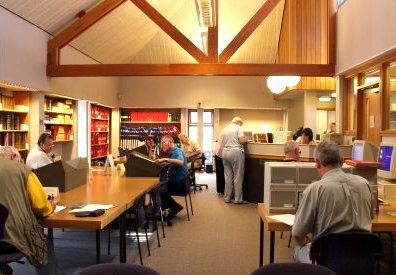 The job of an archivist is demanding; listening skills are clearly a key qualification. The aged speechifiers do not seek solutions, though. Rather, they demand affirmation, a sign of solidarity, an indication that a fellow human being may be properly interested in the minutiae that have overwhelmed their own diminishing attention span. In the reading room I claim my pre-ordered documents, and sharpen a pencil while the assistant unboxes them. When they arrive, it appears that there is a problem. As this deposit has never been fully catalogued, its numbers refer to bundles rather than to individual documents, and some of the bundles bear no numbers. The archivist and I try unsuccessfully to reconcile the unidentified bundles with the leather bound typescript catalogue that is supposed to reference them. I sense that I also am beginning to speechify, so I compromise graciously, and forego some bundles, which in any case appear to be worryingly fragile. The archivist is nervous about material like this being issued to tables. I suspect that she would prefer to ensure its preservation at all costs, even if this means that no-one ever reads it. Ever. But what if one of the untouchable bundles contains evidence that is key to my lines of enquiry? And the relation between those lines is problematic. It all begins with the catalogue system, and that is not coherent. A new searchable database does exist, but there is much material that it does not yet contain, and may never catch up with. Beyond that we must have recourse to the long shelves of old bound volumes, into which, between the wars, anaemic and bespectacled clerks attempted to list in numerical order the essentials of many thousands of pieces of faded paper, most of which have never been scrutinised since. These volumes are neither uniform nor consistent in their organisation or purpose, and there are suspicious gaps in their coverage. So where is the catalogue of catalogues, the meta-catalogue? There have been several attempts to compile over-arching subject indices, but these were sketchy at the time of their compilation, and have been made inadequate by the arrival of new acquisitions. There is, it seems, no central comprehensive overview, no catalogue of the catalogues of catalogues. I chew at my pencil, haunted by the suspicion that at unknown intervals in the locked vaults may be entombed richly illuminating jewels of information, unobtainable anywhere else, but unlisted or misidentified, and so forever beyond access. My study may never be complete. The notion of completeness is always an ideal that withdraws, like a doorway in a dream. I know that. And it seems that, once again, I will have to downgrade. But at what point does my “complete” plunge so far that it falls into absolute incompleteness, and becomes worthless? And in any case, what am I eventually going to do with all these accumulated pads of scribbled notes? I haven’t quite decided. In my more aspirational moments I imagine that I will complete a substantial and definitive volume, exhaustively footnoted and handsomely illustrated. Self-published at considerable expense, admittedly, but at least I will proudly present copies to a delegation of grateful local historians, and my name will be immortalised on Google. Right now I need to make a decision about which bundle of crumbling papers to ask for next, but the archivist seems to have slipped out for coffee, and her assistant has been engaged by an elderly man sporting a lifelong collection of lapel badges, a single bicycle clip and a fresh spot of morning toothpaste on his chin, who is in full flow with regard to the vexed issue of copyright on a photograph of a demolished fire station. Let’s face it – this isn’t going to happen. Dracula is a big book. I managed to read it in three days flat in the summer of 1972. But then, I had little else to do, being employed at the time as a casual summer labourer at Appleby Frodingham steel works in Scunthorpe. My job was to sit in a vertiginous little cabin atop the screen house tower by the coke ovens, from where my companion and I would descend during the very infrequent pauses in the passage of the belts carrying the coke, to change the worn out metal screens – the job of a minute or two. For the rest of our working hours, we were required to do nothing. My companion, an ashen faced man a few weeks short of retirement, did nothing and said little, except occasionally to voice his grievance at the boredom of the job that had kept him for many years on a moderately decent wage in exchange for remarkably little effort. I nodded my sympathies and carried on reading. He sat, still as a corpse, and glared at the wooden floor. There was something oddly gothic about the situation. Do not report me to the established world. Eliot quickly altered “a man crawled downward” to “a form crawled downward”. But if “man” was too strong, “form” was certainly too weak, and in the next draft its crawling was handed over to the baby faced bats of the previous line. 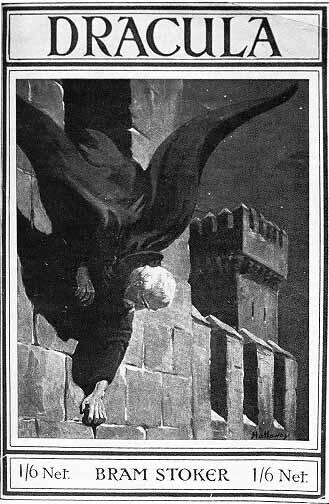 So strikingly “wrong” is this image that it was visualised on the covers of early editions of the novel. I prefer the version on the first paperback edition of 1901. (Available at the best online antiquarian booksellers, though a copy will set you back £10,000.) There can be no doubt that Eliot at least saw one of the cover designs. Some Eliot commentators have merely given a non-specific nod in passing to the Dracula influence, but the crawling-down-the-wall bit is properly, if briefly, covered in the section “The Waste Land: Dracula’s Shadow” in the chapter by Vincent Sherry in A Companion to T S Eliot. Sherry suggests plausibly that Eliot’s doubling emphasis of “downward down” knowingly recaptures the italicised horror of Stoker’s “face down”. Which would mean that Eliot had indeed read the whole thing, rather than just glanced at the cover. The Chapel Perilous may be in Whitby, but it is a mountainous and Transylvanian Whitby. Curious that in his remarkably unhelpful “Editorial Notes” to the poem, Eliot stated that this section employed as one of its themes “the present decay of eastern Europe”. For that matter, it’s worth remembering that The Waste Land, voiced by a shifting collage of different speakers (“multi-POV” as they say these days) had been provisionally titled “He do the police in different voices”. 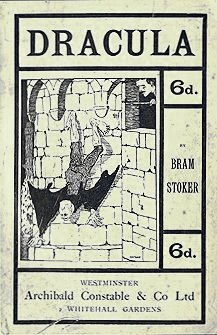 But Dracula is precisely a proto-modernist assemblage of different voices or texts – journals by Jonathan and Mina Harker, various letters, a newspaper cutting, Mina’s journal, Lucy Westenra’s and Dr Seward’s diaries – with no central narrator. Stoker did the Count entirely in different voices. Eliot and Pound must have approved! Stepping outside the texts, it’s also curious that the first book edition of The Waste Land was published in 1922 by Horace Liveright of Boni and Liveright, New York, who went on to produce the 1927 Broadway stage version of Dracula starring Bela Lugosi (and who also cheated Stoker’s widow out of the royalties). A spooky echo, of which good old Google can also throw up a few: in his Washington Post write-up of Tom & Viv, the 1994 film about Eliot’s tragic first marriage, reviewer Hal Hinson found it “a sort of ‘Interview With the Vampire’ for the Bloomsbury set”. Of lead actor Willem Dafoe, he observed: “Tom begins to come across as something of a bloodsucker too … As Eliot, Dafoe certainly looks the part of a vampire”. 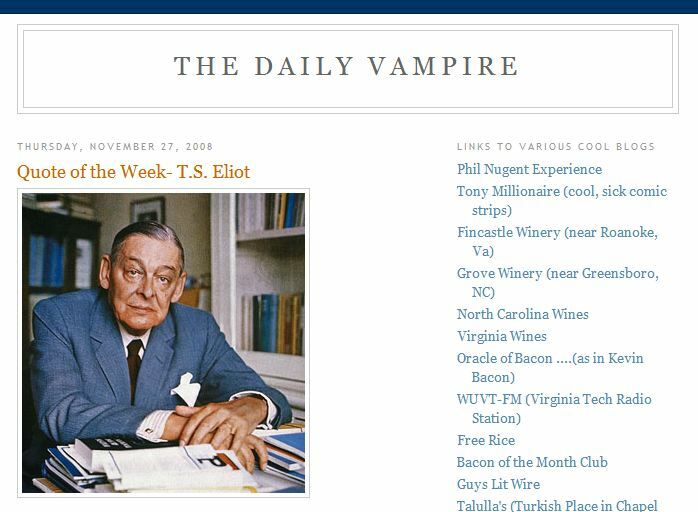 T S Eliot as a vampire? But then, how about this blog page for a striking piece of synchronicity – or “confirmation bias”? The blog title has no particular connection to Eliot, whose “Quote of the Week” beneath is not from The Waste Land. But even so … Oo-er. Creepy!